The Short Version: Though it is a well-known format now, speed dating was an up-and-coming trend in the early 2000s. 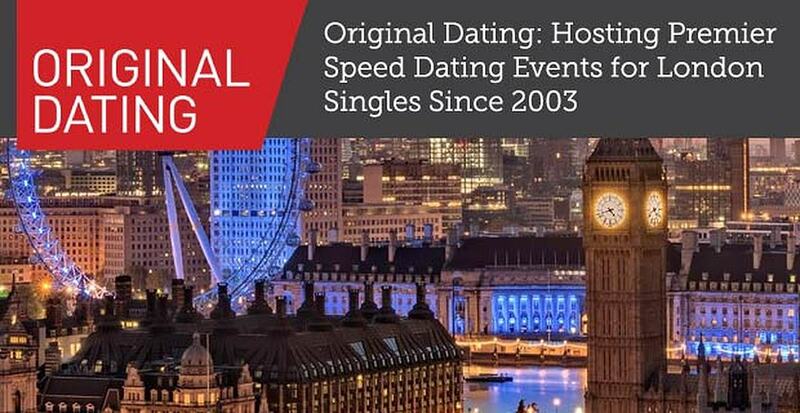 Original Dating helped bring the craze to London in 2003 and began developing speed dating events that saw immediate success. Over the next 15 years, Original Dating continued to grow and innovate trends in the speed dating world. The company offers an alternative to traditional methods of meeting partners by employing witty hosts and offering unusual events. In a dating world saturated with apps and online platforms, Original Dating events provide a welcome respite for those wanting to make real-world connections. In the early 2000s, a new trend was making its way through the dating world. It was called speed dating, and it fit well into the busy lives of urbanites, allowing them to meet many potential partners quickly. Speed dating was a perfect fit for overtasked Londoners, and events began popping up all over the city. Andrew Summersgill started noticing speed dating events were being hosted all over the city — except where he lived in Southwest London. His neighborhood was full of young professionals, so he decided the area was the perfect place for speed dating events. Stuart Grahame, Original Dating Business Development Director, described how the company started hosting events at just the right time. Before the first event, Andrew and a friend developed a website and printed out 500 flyers they distributed around the area. Would-be daters could book a spot online, but many didn’t use the internet, so they secured spots via mail order or fax. That first event was just as popular with young singles as the company’s creators imagined it would be, and Original Dating was born. Stuart Grahame, the company’s Business Development Director, described that first night. Original Dating rode the burgeoning wave of the internet to find even more London singles interested in speed dating. The company quickly earned the top ranking in Google for the term “speed dating London,” which helped it find more fans throughout the city. “Original Dating was launched to a wave of media interest, and, in hindsight, the timing was perfect,” Stuart said. With the foresight to jump onto an interesting trend, Original Dating organically built itself into a formidable force on the London dating scene. And since its creation, the company has yet to take on an outside investor, choosing instead to grow on its own quality. Over its 15 years of operation, Original Dating has primarily hosted speed dating events in which daters, typically ages 25 to 48, meet a large number of partners in short dating bursts. But now that speed dating is entrenched as a dating strategy, the company has innovated new ways to make its events — which now take place all over London and in outposts like Oxford, Tunbridge Wells, and Chelmsford — stand out from the crowded UK dating scene. One of the ways the company makes this happen is by hiring witty event hosts, including trained actors, who enliven the atmosphere at the events. Other speed dating event hosts are TV presenters and stand-up comedians. Trendy speed dating spots and lively event hosts help Original Dating stand out. The venues are also chosen for their novelty. “We are constantly looking for the best venues to host our events. Trendy, fun, quirky, exclusive — you name it we’ve got it — and always in the best locations,” Stuart said. Aside from lively hosts and venues, Original Dating also hosts events with themes that change up the typical speed dating format. 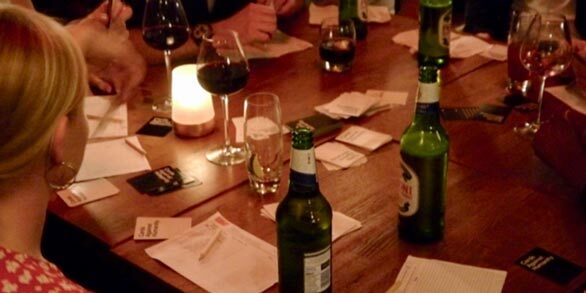 For example, one popular night is based on the well-known card game, Cards Against Humanity, in which players pick the response they think is the most humorous from a collection of often irreverent answers submitted by other players. The theme night is called Dating Against Humanity and was created to pair daters with similar senses of humor. Speed dating events may have grown in popularity in the early 2000s, but they are still just as relevant to daters. Though dating apps continue to saturate the London market, speed daters find face-to-face events a useful way to test their chemistry in a real-world setting. Original Dating staffers often face questions about whether dating apps have negatively affected their business. But they’ve found the opposite is true. Stuart said that online dating has helped normalize organized dating — or actively seeking out channels to find romantic partners, rather than finding them organically. Since daters are used to seeking others on dating apps, they don’t face a significant mental leap when choosing speed dating. “We believe strongly that dating should be a social experience, and meeting people face-to-face is the only genuine and authentic way to date,” Stuart said. Stuart said that apps have helped people realize the importance of meeting a date in person. Original Dating events are particularly useful for Londoners with hectic work schedules and may be even more time-efficient than dating apps. Many Original Dating event attendees understand that personal meetings are the only way to see if they share a spark with a partner. Otherwise, no matter how witty they are online, there will be no chance for romance. And while dating apps are convenient in that daters can interact at any time, they’re likely to make deeper connections with those they meet in person. At speed dating events, there’s no wasted time chatting with a dud who won’t return their messages; instead, singles can meet anywhere between 15 to 25 new faces who they can get to know right away. 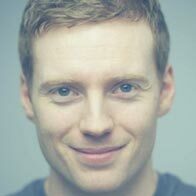 Recognizing a trend that hadn’t yet reached his neighborhood, Andrew started what would become London’s premier speed dating company thanks to the service it provides daters before, during, and after events. Once an event ends, daters are matched through the company’s post-event matching system. That evening, or the morning after an event, daters can log in to the site, where they’ll see photos of daters they met with the option to choose “yes,” “no,” or “friend.” Attendees can also signal their interest in wanting to be friends with someone they met at an event. If two daters say they like one another, they’re a match, and all matches are revealed the next day. Then, two matched daters can message one another via app or website to set up a longer date. 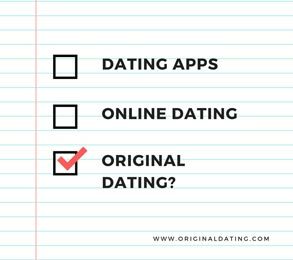 Original Dating helps connect singles through innovative formats. If daters come away from an event without any matches, they can attend the next Original Dating event for free. “Our matching platform is another point of difference for Original Dating and adds to the event experience,” Stuart said. With all of its unique features, Original Dating has spurred many long-term romantic pairings. Stuart said that the company was the first in the UK to have two of its daters marry after meeting one another at an event. Though Original Dating has diversified its locations and its events, the company continues to maintain the legacy it always set out to build. “When you go speed dating with Original Dating, you get the best,” Stuart said.